With modern design yet traditional style and decor, this hotel is a perfect mixture of the culture and history of Macedonia. 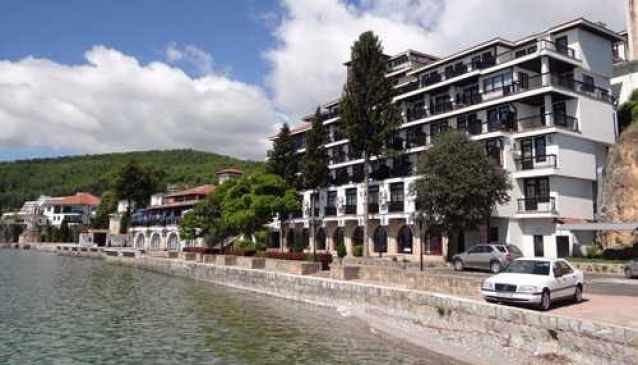 Biser Hotel offers single, double and triple bed rooms, and luxury apartments, all well equipped with TV with satellite programs, direct telephone line, bathroom and beautiful balcony with even more beautiful views of Struga. Its guests can enjoy the various facilities of this hotel such as trendy discotheque, lovely summer bar with wide range of refreshing drinks, pizzeria with all the delicious pizzas, refreshing spa and least but not less important the conference room with capacity of 180 seats. The professional staff members are always on your service, so that your stay in the hotel to be pleasant and comfortable.